SpineCalc is a useful tool, especially for traditional archers. In archery, wooden arrows are still very common, even required, for some types of bows by the various archery associations worldwide. 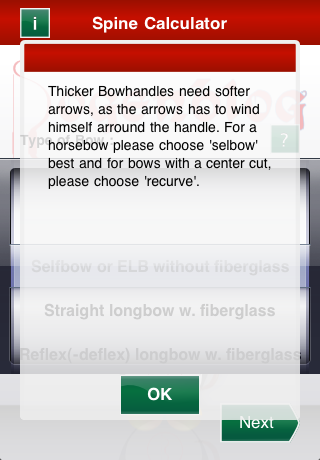 Wooden arrows can be relatively hard or soft, and that hardness or softness is called the spine value. 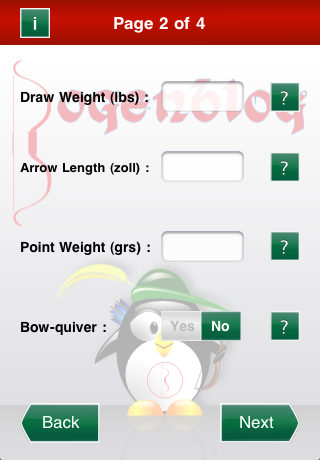 Matching the arrow’s spine value to the type of bow you use is necessary for you to have arrows that fly straight and accurate. 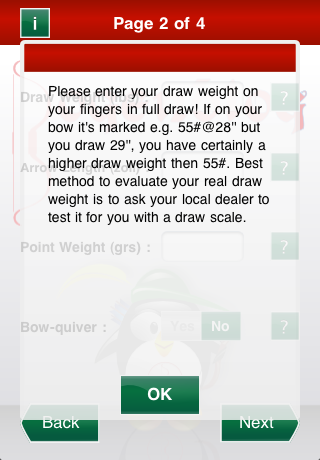 SpineCalc helps you to calculate the right value for you. 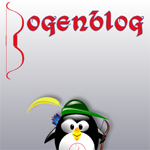 SpineCalc has proven its value already in its HTML-version on www.bogenblog.de and is now also available on the iPhone. SpineCalc has information screens throughout the application to guide the user to make correct selections and to provide the user with useful information. Read the help for SpineCalc.